Charlottesville Area Transit #8 has stops immediately next to Booker T. Washington Park on Preston Avenue. 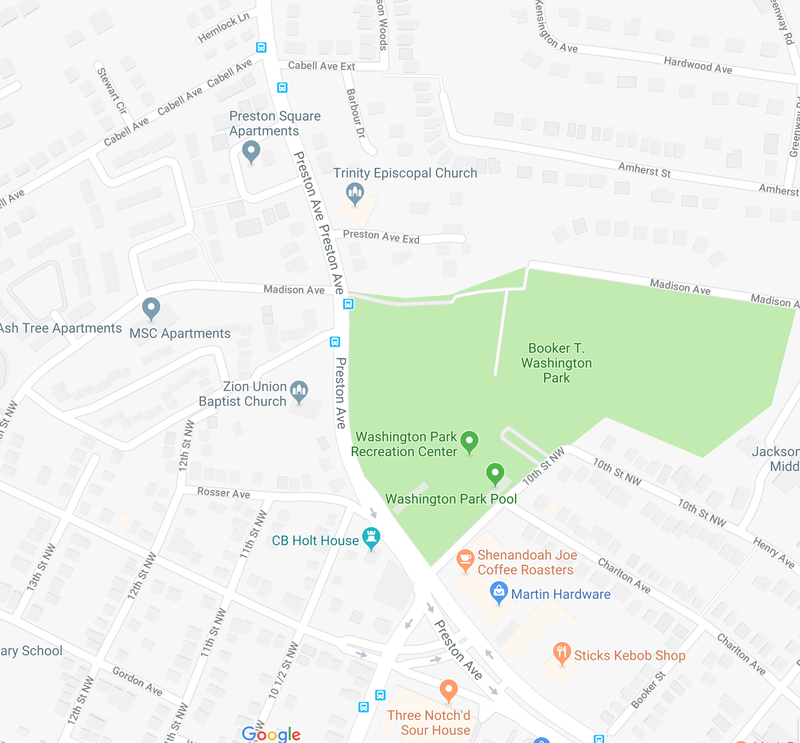 Also, Charlottesville Area Transit #9 stops by 10th St.
For UVA fest-goers, both the Inner Loop and Outer Loop have stops right on Preston Ave. at Booker T. Washington Park. There are two racks in the park. All parking at the Festival of Cultures is FREE! The Festival of Cultures has reserved the parking lots at Burley Middle School, a very short walk from the park, the lower part of Booker T. Washington Park(intersection of Preston Avenue and Madison Avenue), and The parking lot by the pool is reserved for loading and unloading exhibits, speakers and performers, and special needs individuals (handicapped, elderly, others needing additional assistance). Additional parking is available along Preston Ave., Grady Ave., Madison Ave., and surrounding side streets. SPECIAL NOTE: 10th Street between Preston and Charlton will be blocked off for food trucks (see the red block on the map).